No matter what service or product, there’s one word that’s synonymous with value: “unlimited”. We want unlimited text messages, data use, soda refills, sushi, and hours of streaming content on services such as Netflix. 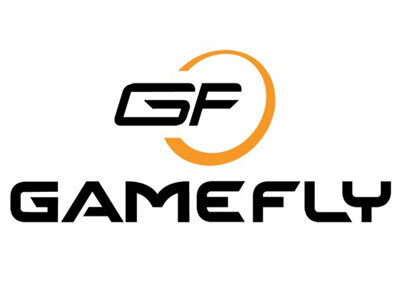 GameFly recently introduced a public beta service that taps into the need for unlimited gaming, allowing users to download and play games not counting against current physical game rentals. Just like Netflix, subscribers only have access to select titles, which excludes many of the premier titles gamers everywhere are losing sleep over playing (Skyrim). 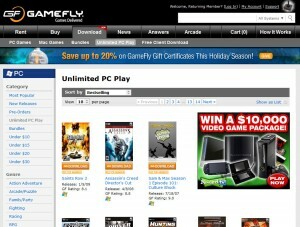 Games must be downloaded using GameFly’s own client. 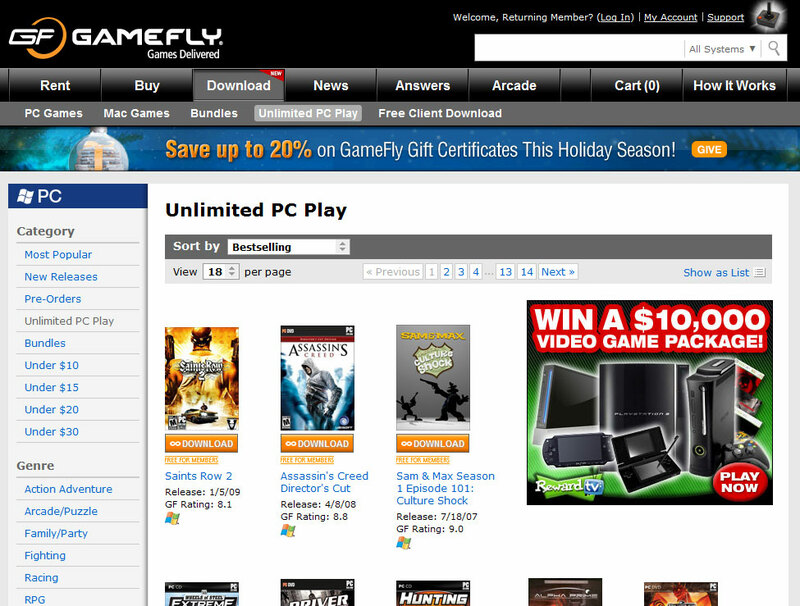 This entry was posted in Games and tagged gamefly, pc, service, unlimited on December 20, 2011 by Mark Azali.